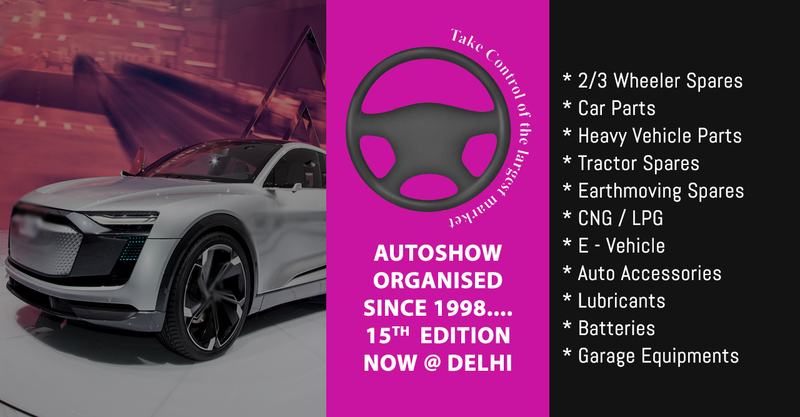 Welcome & Participate Auto Show 2019 Organized by Aakar Expocomm - Auto Show has been creating opportunities by bringing manufacturer and users together and yielding better business gains as well. We have been organizing Auto Show since 1998 in different states like Gujarat, Maharashtra & Madhya Pradesh and this year we are organizing 15th Edition Auto Show at New Delhi. Auto Show is organized specially for After market automotive industry to boost up Indian Domestic Automotive market. About 15 th Edition of Auto Show – New Delhi 15th Edition of Auto Show is being organized this year at Pragati Maidan, New Delhi on 10 to 12 August which will provide an idle platform for manufacturers to meet qualified buyers like Auto Importers, Dealers,Distributors & Wholesalers , Garage owners and Transport contractors from all over India and also build brand image and take control of the largest market in the Automobile Industry – Delhi. Event Venue: Pragati Maidan, New Delhi India.